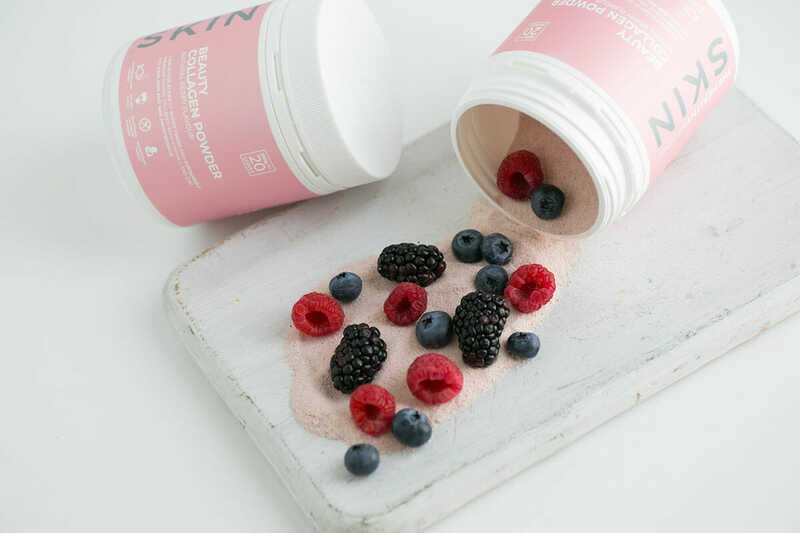 We’ve all heard the saying that beauty starts from within, well why no add some anti-ageing goodness to your breakfast? This delicious Anti-Ageing Brekkie Bowl contains so much nutritional goodness that the added benefits of Healthy Mummy SKIN Beauty Collagen Powder and Healthy Mummy Chocolate Smoothie mix just makes this the perfect breakfast to add to your healthy meal plan! We have so many more breakfast bowls and other delicious and healthy breakfast recipes like this one in the 28 Day Weight Loss Challenge recipe hub. Place soy milk, Healthy Mummy Smoothie mix, Healthy Mummy SKIN Beauty Collagen Powder, cherries and yoghurt in a blender and blitz until well combined. 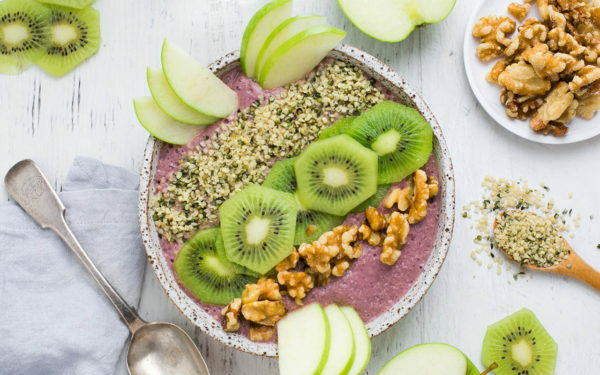 Top with apple, kiwi fruit, hemp seeds and walnuts to serve. Makes 1 serve at 475 calories per serve. 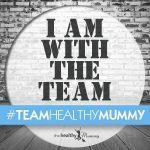 Grab some Healthy Mummy Beauty Collagen Powder today!